After not hearing the alarm this morning and therefore missing my original flight from DFW to MCO (Orlando International), I got booked on the next flight. I was in the air just a couple of hours late, and arrived at Dolphin in time for BALD at Big River on the Boardwalk. Had a great time connecting with friends after a year of not seeing many of them. Of course I got a hug from Mat Newman, meaning that IBM Connect started for real. Låter I was going to hit ESPN, but due to changes there, the traditional party did not take place there. Instead I went back to Big River with a few friends for dinner, before I went to bed early. It looks like the evenings next week week will be a little bit chilly. So it might be a good idea to bring something warm to wear for the Tuesday party at Disney’s Hollywood Studios. The sessions at Lotusphere/Connect are focusing more and more on XPages each year. I don’t think there are really any sessions about classic Notes development this year. 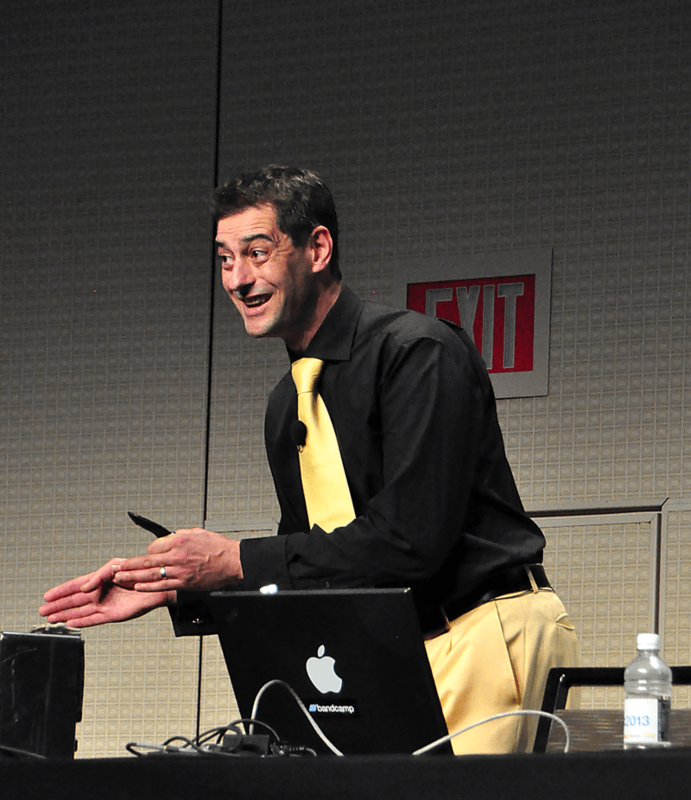 Currently I am not able to use XPages at work, due to the client environment we run (Lotus Notes 8.5.2 Basic in Citrix), but the sessions are still great (see video below) and I am learning new things every year. Hopefully we will soon switch the client to IBM Notes 9.0 so I can use all this knowledge to build some really cool and useful applikations for our users. I am also going to some admin-related sessions, this is an area I am trying to get more knowledgeable in, after our network/Domino administrator left in 2012. A frequently comparison is that going to Lotusphere is like trying to drink from a fire hose. There is so much info that you can’t take it all in. You will soak up a lot of good and useful information, and if there are things you don’t understand, you can ask the speakers after the sessions, or even later in the week, as you surely will see them around in the hallways, at other sessions. You can also ask questions to the Best Practices speaker at Gurupaloza (Thursday 10am) and the IBM developers at Ask the Developers (Thursday 1.30pm) sessions. The latter is often tongue-in-cheek called Beat the Developers. If you have less technical questions, for example about the future direction of a product or if a particular feature is planned for a future release, don’t miss the Ask the Product Managers (Thursday 11.15am). Talking about those sessions, here is a friendly reminder: keep the right questions in the right sessions. Every year there is someone who asks questions about future directions of products at Gurupaloza or asks about a particular problem/function in the Product manager session. Doing this irritates the rest of the audience, and causes someone else not to get the time to ask his/her question. Also, if you have a very specific technical question, don’t bring that to these sessions, go see the developers in the lab instead during the week. Nobody is interested in the printing problem one user at your office is having with one specific type of printer… That is a support question. The most important rule however, is one question per user. If you have two questions, go to the back of the line and wait for your turn. Don’t try to hog the microphone. Wednesday morning. In exactly 3 days I will arrive in Orlando, after a short flight from Dallas. My preparations for the trip are almost done, I just have to charge up some batteries for cameras, dig out some spare USB cables and purchase a few last-minute items. So what is it that is so exciting about Lotusphere (now Connect)? How do you explain it to someone who never been there? In the past, several members of the community have brought their significant other to Orlando, at least for a few days in the beginning or end, so they could get an idea what it all is about. But how do you express it in words? To me, Lotusphere is a family reunion. I meet people I haven’t seen in a year, or in some cases in several years. At work I am the only developer working with the ICS stack (Notes/Domino), but once a year I get to talk to other developers, exchange ideas and tips, and just “talk Lotus”. This makes me recharge and makes me enthusiastic about things I can do when I get back to the office again after the conference. 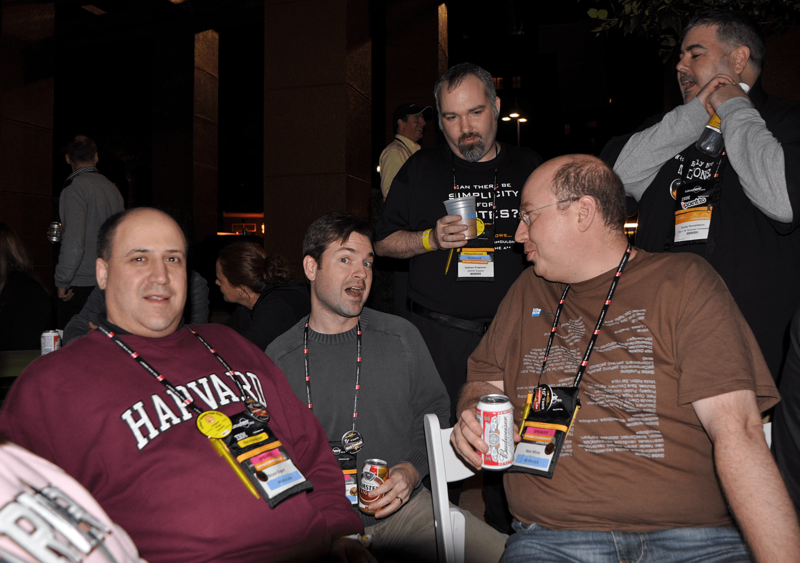 All the social event and impromptu meetings are a large part of what Lotusphere been to me for the last 7 or 8 years, when I started getting more involved in the community. I wish I would not have waited that long, I have made many good friends over the years, as the community is very welcoming of new people. So I will repeat what I already said before, go out, be social, meet people. Don’t sit in your room at night, then you miss at least half (if not more) of the Lotsuphere/Connect experience! And don’t miss playing the game Journey to Dolphindor! Click on the game card to the right for more info. 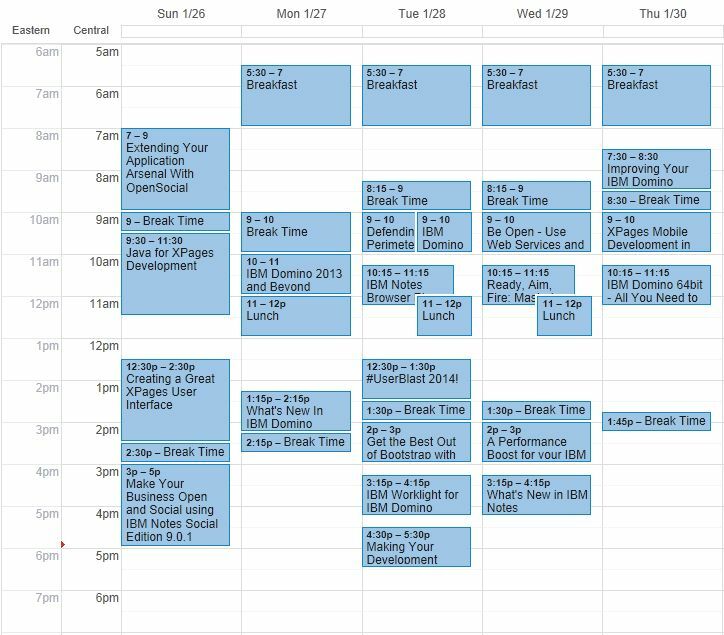 I have now created my preliminary schedule for Connect 2014. There are two only sessions that collide (on Tuesday), and I have not been able to find any repeats for them. That is how often has been at Lotusphere, but I would say that in the later years, the collisions have been fewer and fewer, thanks to more repeats and (perhaps) smarter scheduling. Monday afternoon is when I have set time aside to visit the showcase and the labs. I also have a little bit of time after lunch Wednesday. As I mentioned in a previous post, I like to set aside plenty of time to visit the showcase and the labs, that is not something you want to rush between two sessions. The labs close at noon on Thursday, so the staff can attend the “Ask the developers” session later that afternoon. I still haven’t figured out when to visit the certification labs. Remember, this year you get free certification tests! There is also a prep lab where you can do study for the test and do test exams. In the evenings you will probably find me at Kimonos, in one of the Swan courtyards, at the Dolphin bar or the fountain, or perhaps somewhere around the pools. If you see me, don’t be shy, come say hello to me! Pool party or no pool party, that is the question – or is it? 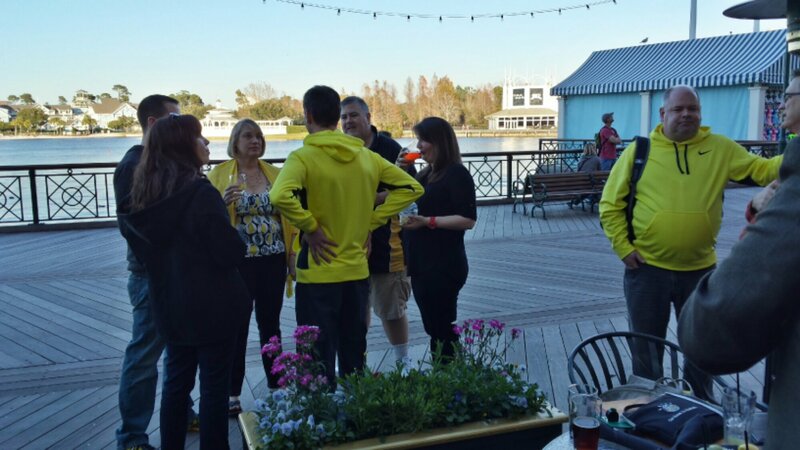 With the name change to Connect in 2013, the welcome reception/pool party changed somewhat. 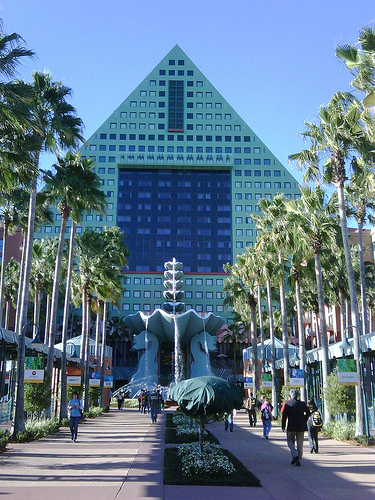 Instead of taking place at the pools/beach area between Swan and Dolphin, it started inside in the showcase area (Atlantic hall), and then moved outside for food, drinks and entertainment. From what it looks like on the Connect 2014 website, and based on Chris Miller’s blog post, it sounds like the traditional poolside party is no more. The Connect website also only mention snacks and beverages. However, according to IBM, the website is not clear enough at the moment (they say it will be fixed/updated). The poolside party will still take place, according to IBM. The showcase reception starts at 6.30pm and goes on until 8pm. The poolside party starts at at 7.30 and goes on to 9.30. This is longer than previous years, allowing the exhibitors to attent the party as well. Connect 2014 – Survive the week! 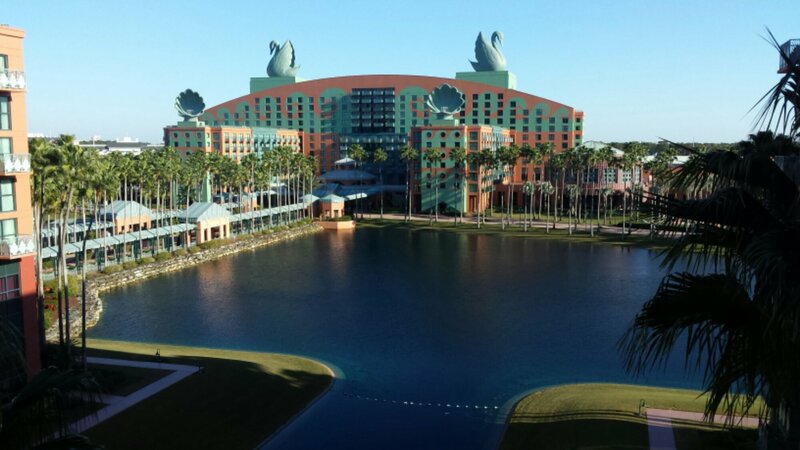 In exactly 3 weeks, thousands of us will be sitting in the Northern Hemisphere ballroom at the Dolphin hotel in Orlando. We have already been involved in some social activities on Saturday with soccer, BALD and ESPN, followed by a full day of jumpstart and master class sessions on Sunday. Sunday evening there was the big welcome reception on the beach between Swan and Dolphin. Some of us may have continued to Kimonos afterwards, or perhaps to Jelly Rolls dueling piano bar on the Boardwalk. Or perhaps we have been hanging out with friends somewhere, catching up on what happened since last year, smoking a cigar and having another drink. But now it is Monday morning. You probably got up early and headed to breakfast, so you could get to the OGS early and get a good seat. For the last 10 years or so, breakfast have been in the Pacific hall, but in 2013, that area was used for the Conference. Instead a big dining tent was erected in the parking lot in front of the Pacific hall, reminding us old-timers about Lotusphere in the late 90’s, before the Pacific hall was built, back when all meals were in dining tents. I suspect we will see that dining tent again this year. This all brings us to food and drink. 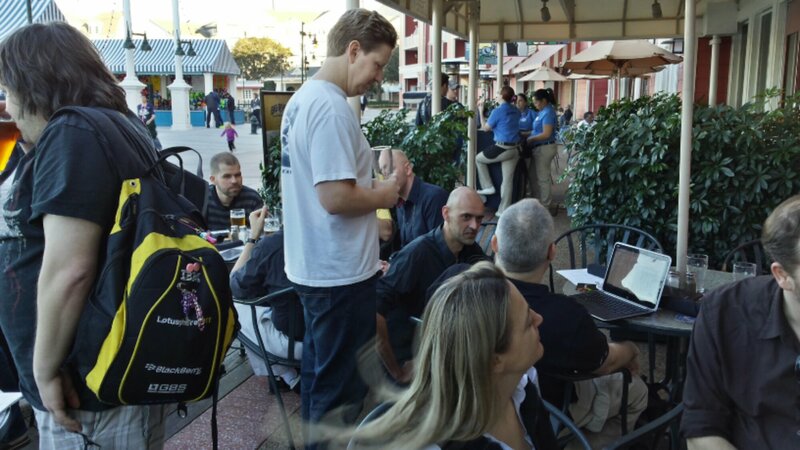 As a 16-time attendee to Lotusphere, take my word for it: don’t skip breakfast. Different days have different breakfast items to offer. Some mornings there will be scrambled eggs, bacon and sausages. Other days there will be fruit, bagels and pastries. There is always cereal, milk, yogurt and orange juice, as well as muffins. If nothing else, grab a muffin and an orange juice or two. Perhaps a cup of coffee or tea to wake you up. But if you don’t eat breakfast, you will not have the energy you need for the first part of the day. 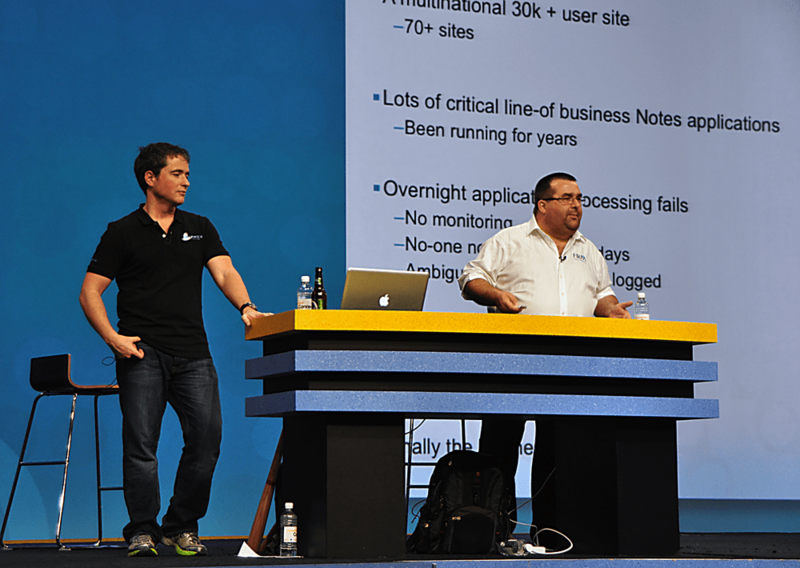 Lotusphere is not a sprint, it’s a marathon. You will do a lot of walking, and sit in dark conference rooms, drinking from the proverbial firehose of knowledge. You need all the energy you have to keep up. Lunch is usually a buffet, except Thursday, when it is a boxed lunch. Don’t miss the famous pretzel cookie in the box! The lunch offers two or three different types of meat, several sides as well as a couple of salads and bread. Small individual deserts are available on the tables, together with ice tea and water. Historically, the lunches have been Italian, Mexican and American, and after all these years, I don’t see that changing. In the morning and afternoon, there are coffee breaks, where you in addition to coffee and tea also can find bottled water and soda. In the afternoon break you can often find some snacks, like soft pretzels, ice cream bars, cookies or pastry. Bottled water is available all day now, but I still suggest that you stick a few bottles in your backpack when you can. I usually grab a couple of cans of caffeinated soda as well. They usually come in handy during lunch or during the morning sessions the next day when I need to wake up… If you stay at Swan or Dolphin, you get a resort package, which includes “high-speed” internet access as well as a couple of bottles of water each day. I still make sure I have plenty of water in my room, for when I get thirsty at night. It is very important to stay hydrated. Drink as much water as you can. In the past I have also been bringing Crystal Light powder to flavor the water, and this year I intend to do the same. Stick a few individual packages in your backpack or badge holder for easy access. Dinner is usually up to you, but don’t fear. Monday you have the showcase reception, as well as some vendor or national dinners or receptions. UK Night has been taking place Monday evening as well. You can often get invitations to dinners if you talk to your account reps of your vendors. The classic Wednesday party has been moved to Tuesday this year, to give the attendees of Kenexa World a chance to go. Their part of the conference is shorter, and ends already Tuesday. There will be food and drinks at the park, which this year is Disney’s Hollywood Studios. I am sure many of the vendors who traditionally had their receptions on Tuesday will move them to Wednesday instead. Keep your eyes and ears open, and you may score a free dinner, keeping the bean counters in accounting back at the office happy. So to recap: drink plenty of water, don’t skip meals (especially not breakfast) and take advantage of the free dinners that often are available through your vendors. One more tip. Since the alcohol consumption at Lotusphere/Connect tend to be somewhat high, make sure you know your limits. Have a beer or a drink each night for the two to three weeks leading up to the conference to increase your tolerance. You may want to increase this to two drinks the last week before you head to Orlando. 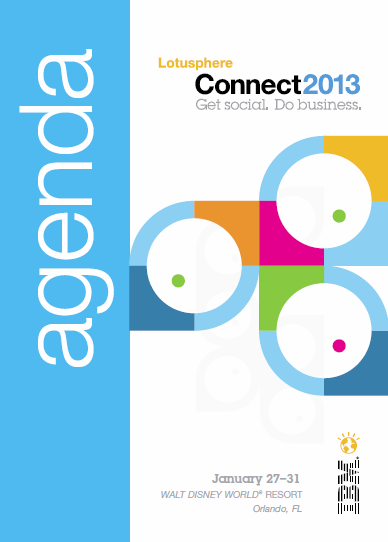 Connect 2014 – Plan your schedule! Connect 2014 – Prepare properly! Connect 2014 – Let’s be social! We already talked about how to prepare for Connect by getting everything together, like batteries, chargers, comfortable shoes and questions for the IBM developers. But you also should plan ahead for the sessions. You will spend hours listening to experts from IBM as well as from business partners from all around the world. There are always several sessions at the same time, sometimes making it hard to choose. There are also the longer Show n’ Tell sessions, sometimes overlapping other sessions you might want to attend. So picking the right ones, at the right times, is crucial to get the full benefit of the conference. Back to planning. What I do is that a couple of weeks before the conference, I go to the conference website and look at the list of sessions. I print the ones I am interested in (there is usually a way to print them with the session abstract), then mark them from 1 to 3, with 1 being the most important to attend, and 3 meaning “if I have time”. As a developer, I usually focus on the AD (Application Development), BP (Best Practices), SHOW (Show ‘n Tell) and JMP (Jumpstart and Master Class) tracks. Sometimes I pop over to the ID (Infrastructure) track for a session or two. New this year is the Innovators and Thought Leaders track, and I will absolutely take a closer look at the sessions in that track and see if I can find something that would benefit me or my organization. For the last couple of years, there have been additional keynote sessions Tuesday and Wednesday morning. On Tuesday, Scott Adams (creator of “Dilbert”) will speak about how he used his failures to be successful. 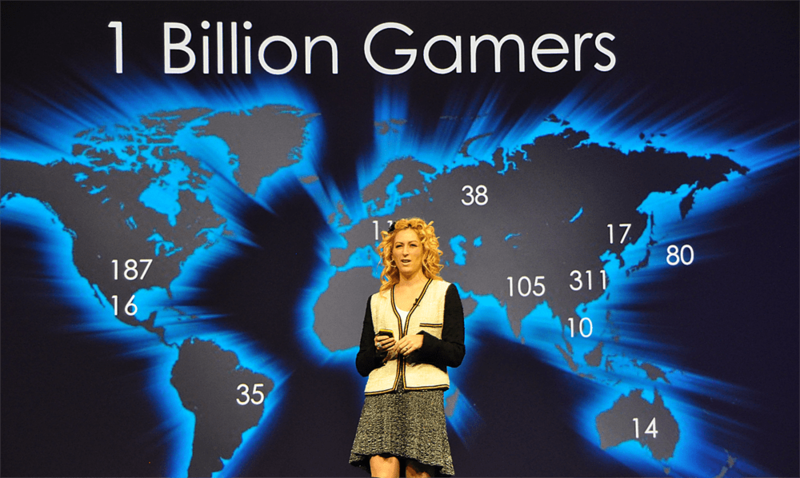 Last year one of the keynotes had Jonathan Coulton perform, followed by game designer Jane McGonigal. This was a very interesting session, I wish IBM would take a cue and put some of that energy into the OGS (Opening General Session) on Monday morning. The OGS is not geared to the technical audience, but more to press, analysts and CIO/CEO type attendees. There is usually a panel discussion, some customer testimonials and (towards the end) some demos of current, new or sometimes upcoming products or technologies. The big draw of the OGS is the secret guest speaker. In the past we have seen names like William Shatner, Francis Ford Coppola, Michael J Fox, Walther Cronkite and Neil Armstrong on the stage at Lotusphere. Who will it be this year? Guess, and you can win $100! Finally, don’t forget to visit the Showcase Exhibit. Not only can you pick up some cool give-aways, but you will also find information about all kinds of third-party tools and products, and meet business partners that could help you and your company. Some of the tools I use daily today I originally found at the showcase, like NoteMan from Martin Scott and the Teamstudio Notes Tools. I try to hit the showcase several times, it is easy to get stuck there talking to the vendors. So plan accordingly! For the last few years the afternoon coffee breaks have been in the showcase area, use this to your advantage and schedule some time in conjuction to them to visit the vendors. It’s time to start planning for Connect 2014, and there are a few things I want to share, based on my experiences previous years, which will make the conference more enjoyable and beneficial. Since Andy Donaldson has been a slacker this year, I can’t link to his excellent guide to Connect-o-sphere yet… You can of course read his guides for 2012 and 2013. In addition to the obvious items, there are a few things you should bring in order to save you money, hassle or both. Chargers – don’t forget to bring chargers for all your devices. In addition, bring a portable changer/battery pack to recharge your tablet and/or phone during the day. With the amount of Twitter and Facebook messages being posted/read during a day at the conference, the battery tend to drain already around 3pm for me. I have been using a 6000 mAh portable charger for the last few years, it gives me two charges of my Samsung phone. I get a full charge in about an hour. If you, like some, are bringing a portable wifi hotspot to use instead of the conference network, one of those battery packs is perfect to get through the day. Power strip – the Disney hotel rooms don’t have an abundance of power outlets. A power strip with a few feet of extension cord goes a long way when you have perhaps half a dozen devices to charge. Andrew Pollack recommends the Power Strip Liberator Plus, which seems like a very smart complement to a traditional power strip. Just remember, you are not allowed to have devices plugged in during the sessions, so you have to charge devices in your room. This is another reason I prefer to stay at Swolphin (Swan/Dolphin), I have quick access to my room if I need to put a device on charge for an hour or two, like the above mention battery pack after I drain it. Then it is ready for the evening when I need it again. Batteries – bring spare batteries for cameras, phones, etc. If you have devices that uses AA or AAA batteries (like an external flash for your camera), bring plenty of extra batteries. You can buy batteries at the small convenience store on the Boardwalk, but they have a very limited selection and are expensive. I usually get Lithium batteries, as they last longer. Medicine – in addition to any prescription meds you use, bring some headache pills/pain killers, Pepto-Bismol and/or Tums for stomach issues, some band aids for blisters, etc. Items like this are either hard/impossible to find on Disney property, or way over-priced. Bring at least two pairs of comfortable shoes. Make sure they are not brand new, walk them in for a couple of weeks before Connect to avoid getting blisters. Alternate between the shoes while at the conference. One of the most beneficial parts of Lotusphere was always the opportunity to meet the developers behind the products, in the Labs (usually located in Asia 1 and 2, to the right of the escalators down to the showcase area in the Atlantic hall). Some preparation here will be a huge help for you. The standard advice for years have been to bring a flow chart of your environment, with all servers listed, information about software and operating system versions, etc. This chart probably already exists at your company, otherwise you can create it using Visio or one of the free alternatives. 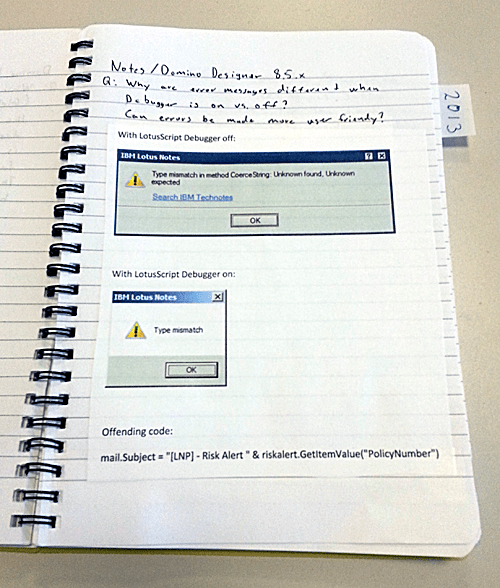 What I started doing a few years ago was to designate a small notebook to questions to the IBM developers. Each question get it’s own page, with a question section and an (empty) answer section to be filled out when I got the answer. I also took screen shots of error messages or other things that would clarify details for the developers. This ended up being very handy one year. I told (I believe it was) Maureen Leland about an unusual error message and she said she had never seen that one herself. I could then show her a screen shot of the exact error message, which helped her pinpoint the issue. An additional benefit to use a notebook like this is that before I leave the office, I talk to my colleagues and ask them if there is anything they want/need to know, I write down their (detailed) question and when I get the answer at Lotusphere/Connect I write that down. Back at the office I can then just hand them the answer. Make sure you put aside time at least twice during the conference to go ask the developers questions. Once in the beginning, on Monday, and then once towards the end of the conference, as you most probably have new questions by then. Don’t try to squeeze in some time between session, you don’t want to be rushed. Skip a session to spend the time in the labs, there are additional labs which are also very interesting. The UX lab (usually in Asia 3 and 4 next to the developer lab) is also worth visiting. This brings us to the planning of what sessions to attend. As this is a fairly substantial subject, it will be covered separately in an upcoming blog entry.